It´s my opinion as a Dutch citizen that the Netherlands qualifies as a so-called Narco-state. I´m not alone in this diagnosis, it´s what police investigations tend to find too. A Narco-state is a kind of nation where the entire political and economic structure of society has become penetrated by the drug trade. In such a society drug lords don´t face prosecution because police are on the payroll of the drug dealers. The drug criminals end up seeking political office themselves, because this then gives them the power to reign in any attempts to throw them in jail. The evidence is out there. The Netherlands is the world´s supplier of MDMA. If you do a wastewater analysis of European cities, you´ll find that the Netherlands comes out on top of the list, with Amsterdam far above the rest of Europe. Characteristic of a narcostate is that law enforcement can´t be trusted. Infiltrants tip off drug dealers about ongoing investigations, or police officers selectively apply the law against competing dealers who have no network within the government. In recent months the Netherlands has seen three cases of police officers who were discovered to have links to drug dealers. In many cases they were placed with the police by the dealers themselves. Another noteworthy Dutch tradition is of local politicians who grow cannabis in their own property. In some cases, mayors are urged by municipal council members to avoid closing the property where cannabis plantation were discovered the police. Usually, these politicians use strawmen who rent the property on their behalf. A prominent Dutch liberal politician was discovered a few years ago to have paid such a strawman, but the guy spoke up when he didn´t receive the promised money. In most cases, the politicians simply insist that they had no clue what was going on within their property. What needs to be noted here is that the Dutch legal system is set up in a manner that keeps the drug trade profitable. If these drugs were all legal, the government could produce them and free competition would bring prices down. As long as governments seize drugs and cannabis plants and throw people in jail, the supply is scarce, thereby creating huge profit opportunities for those who have the kind of government ties that allow them to get away with their activities. The Netherlands has perfected this system of entrenched corruption. Although the sale of cannabis is perfectly tolerated in so called ¨coffee shops¨, the production of the cannabis sold in these shops is strictly illegal. Thus, we are supposed to pretend that the cannabis sold in these coffeeshops somehow emerges out of nowhere. This doesn´t happen of course, what happens instead is that government officials who get rich from the drug trade themselves perpetuate a system in which drugs remain illegal, expensive and profitable. The big issue that drug criminals run into is that their drug wealth needs to be laundered in one way or another. This is where it starts affecting the rest of the economy. You can launder money by setting up a series of shady businesses. You claim to have customers who never actually visited, then you bring the money to your bank and everyone is perfectly willing to pretend that you had customers even though nobody ever visited your store. The preferred type of store used for money laundering is generally a jewelry store: The products are expensive and take up little space. Rotterdam, the second biggest city in the country, recently decided to close down a few of these stores. Also commonly used are ¨lycamobile¨ stores. These type of shops tend to have little to do with calling people and far more to do with transferring money abroad and laundering money. The thing to comprehend is that the drug-economy ends of suffocating the rest of the economy. If the main role of a restaurant is to launder money, it doesn´t really matter whether the food it sells is profitable to them. If you have a legitimate restaurant, you won´t be able to compete with the prices they offer. Similarly, the rent for space in a street will be too high for your legitimate business to break even, because these businesses that need to launder large amounts of money have no real concern for the rent they´ll need to pay. 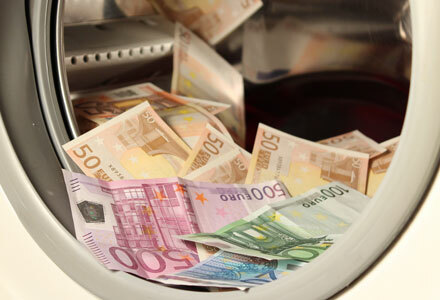 Small stores are not the only way to launder money of course. Another excellent way is through cryptocurrency. Imagine you´re a young chemistry student who was recruited by some people from West Brabant to help them synthesize MDMA. They don´t deposit money in your bank account of course, they offer you physical cash. But how do you explain to the bank that you need to deposit large amounts of physical cash every week? Here´s what you do: You meet up through localbitcoins and offer some physical cash that you got. You then receive bitcoins. You deposit those bitcoins on a bitcoin exchange, then withdraw them and sell them to a Dutch Bitcoin company. The bitcoin company then deposits the money to your bank account. The money is now sufficiently laundered. What happens to many young people in a Narcostate is that they have no real options in life that are legitimate and will help them sustain a normal lifestyle. A normal young man wants to buy a house near his family, marry a wife and raise a family, without requiring her to slave away 40 hours a week in some office somewhere. With most legitimate jobs, that´s not an option for a young man today. So, what do these young men do? Many of these young men end up involved in the drug trade. There are many ways to get involved. You can become a politician, a lawyer, a judge or a police officer and prevent arrest and prosecution of drug criminals. You can become a chemist and help synthesize drugs. You can start selling drugs on the street yourself, though this is the least profitable option in contrast to what most people think. You can be a customs officer who makes sure to randomly inspect the non-suspicious packages. You can also work as a truck driver who hauls drugs from the Rotterdam harbor to West Brabant, you´ll make as much money in a single night as you would through a year of legitimate work. The most profitable option is probably to launder the money for the dealers however. You can be an accountant who tells them how to hide the origins of their money, you can be self-employed as a local bitcoins dealers, you can get involved in real estate, or you can work for a cryptocurrency company and launder money. The thing to understand is that all of these jobs I outline here above are more profitable for these young men than regular jobs and require far less hard work. You might say that these guys should just go to college and get a good degree, but that´s not how the world works. Some of them are not smart enough to graduate and get a professional job. Others are smart enough, but simply studied the wrong subject. If you want to sustain a family by working in a supermarket or a warehouse, or by delivering mail, you´ll find yourself unable to do so. You´ll find yourself barely able to sustain yourself. If you involve yourself in the drug trade however, you have plenty of opportunities. In addition to being profitable, the drug trade is rapidly growing. Most importantly however, the entire network that facilitates the drug trade witnesses enormous growth, so there are plenty of job openings. As the power of the Dutch drug lords grow, they want to have lackeys in government, in the police and in other places. They´ll make sure to help you get in there, if need be they´ll send some death threats to get you hired. What happens is that you then end up in a society a lot like Columbia. Important to understand is that the Netherlands can´t suppress the drug trade any longer, because our entire economy has grown dependent on it. The drug trade is now too big to fail. The tourists visit Amsterdam because you can smoke weed all day long, buy mushrooms in smartshops and buy cocaine off dealers on the street. The Schiphol airport and the hotels depend on tourists showing up here. The housing prices in Amsterdam are enormous, because drug criminals buy property in our cities to launder their money. The Dutch smartshops legally export salvia, magic mushrooms and other natural highs around the world. The drug trade indirectly sustains millions of people throughout the country, ending the drug trade is now like randomly demolishing a wall in a house and praying that the rest of the walls can bear the weight of the floors above. is drug-related violence a major concern, like latin american narcostates? Do you have any references that back up your claims that the entire Dutch economy depends on the drug trade now? It´s what follows when you do some simple math. Coffeeshops sell 1 billion dollar worth of weed annually, according to the estimates I´ve seen. A third of tourists in Amsterdam visit a coffeeshop. Tourists in the Netherlands spend 21 billion dollar annually. If we had no coffeeshops, we can estimate that a third of foreign tourists wouldn´t visit the country. That means you lose almost seven billion dollar of GDP. That´s eight billion dollar so far. That means we´re left with 28 billion euro. That means you´re looking roughly at three times what our natural gas earns us. People often say natural gas is the difference between the Netherlands and Belgium. I think the difference is the drug trade. Thanks. Even if you’re overestimating it, it looks like the drug market is quite large here. But it’s not enough to crash the Dutch economy, which has a GDP of about 725 billion.